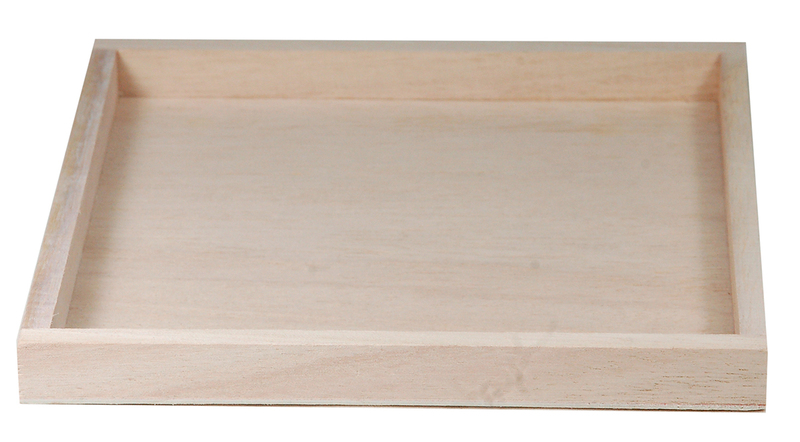 This square wood tray is made of balsa wood, one of the greenest wood on earth. The dimensions are 7" x 7" x 5/8" deep. It is available in all garden colors and dark finished matte colors. The sample shown is finished in natural.